Why Are There Stars In The Messages App On My iPhone? You are at:Home»iPhone»Messages»Why Are There Stars In The Messages App On My iPhone? You open the Messages app on your iPhone and suddenly, a shooting star flashes across the screen. 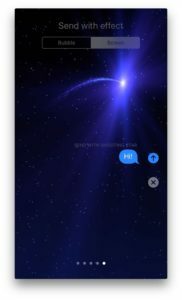 After you’ve recovered from this dazzling effect, you wonder, “Wait — since when have I received stars with text messages?” In this article, I’ll explain why stars have appeared in the Messages app on your iPhone and how to send shooting star iMessages to your family and friends. 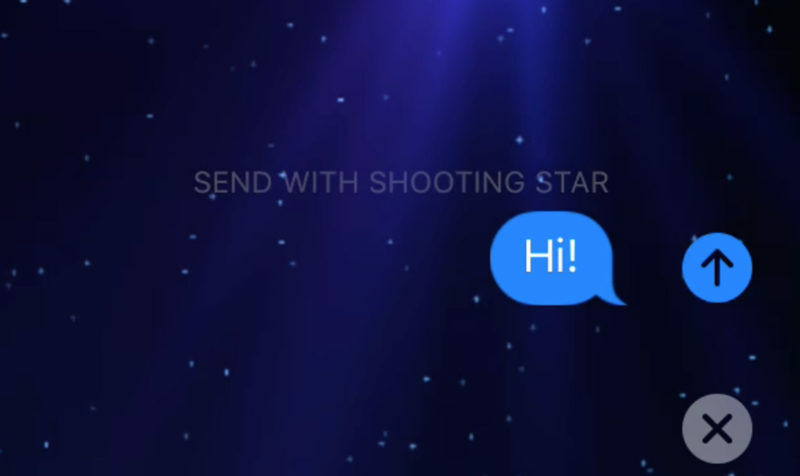 The Send with shooting star effect is a new addition to iOS 10, Apple’s latest software update for iPhone, iPad, and iPod. It’s one of the many recent additions to the Messages app, and just one of the effects you can send with iMessages. How Do I Send Stars In The Messages App On My iPhone? Open the Messages app on your iPhone and type the text of your message. Press and hold the blue send arrow until the Send with effect menu appears. Tap Screen under Send with effect at the top of the screen, and use your finger to swipe from right to left until you find the shooting star effect appears. Tap the blue send arrow to send an iMessage with shooting stars. Now that you’ve learned how to send shooting stars to your friends using the Messages app on your iPhone, it’s time to dazzle your friends with this unbelievably amazing effect.Happy stargazing, and thanks for reading! Previous ArticleHow Do I Turn Off Messages Effects On My iPhone? Here’s The Fix! Next Article Why Does My iPhone Say Security Recommendation In Wi-Fi? The Fix!